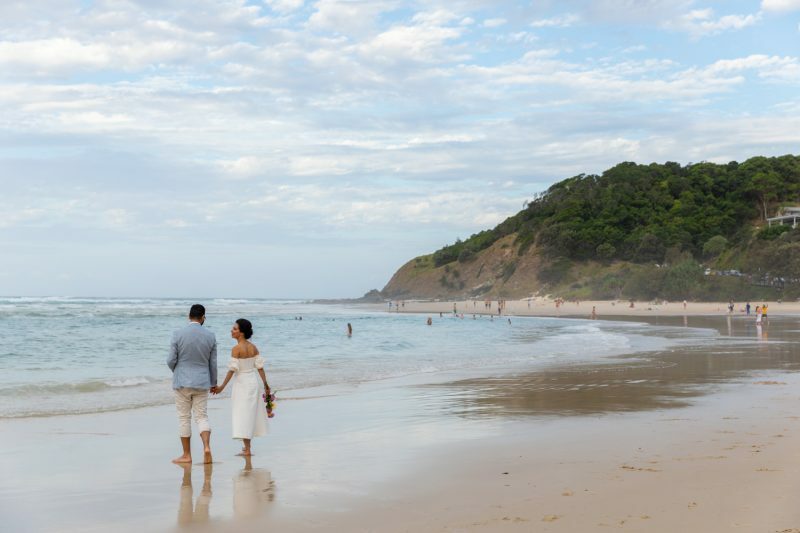 Ivette and Tim invited loved ones to a sightseeing picnic at the Byron Bay light house, when BOOM ! A surprise elopement captured their hearts and their tears. We ventured from the lighthouse down to Wategos Beach for a stroll along the sand. And then family gathered for a first class meal at Raes on Wategos.